The City of San Antonio is committed to excellence in all that we do. The daily business of City operations is the responsibility of the City Manager, the Chief Executive Officer, appointed by the Mayor and City Council. The City Manager prepares recommendations and implements the policy direction approved by the Mayor and City Council. The City Manager is responsible for the administration of City services by exercising effective leadership and management of the City. City personnel report to the City Manager. 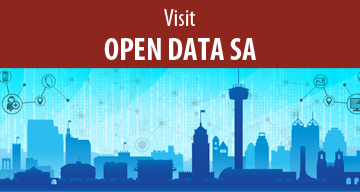 San Antonio, a full service, home-rule city, is the 7th largest city in the United States, with a corporate boundary of 486 square miles, serving a population of 1.4 million residents. The City of San Antonio is a business-friendly organization with a balanced budget, a healthy financial reserve, and an affordable cost of living. The City of San Antonio is committed to excellence in the delivery of services. Core Values of Teamwork, Integrity, Innovation and Professionalism are principles which define the culture of the local government organization. These values inspire City employees to make ethical and professional work decisions and provide outstanding customer service to our residents. Thank you for visiting the City of San Antonio Office of the City Manager website. San Antonio voters approve $850 million bond program.